HOW MANY KIDS ARE CURRENTLY BEING EDUCATED AT HOME, HERE IN SA? I have personally spoken to over 150 families since 1989, and over 40 in the last twelve months. There are other families who act as contact people in the metropolitan and country areas. The Education Department put the figure at 0.2% of the school population in a newspaper article last year. COULD YOU GIVE US AN IDEA ABOUT HOW YOUR DAY IS STRUCTURED? We usually discus what we all intend to do the night before and record it in a book. 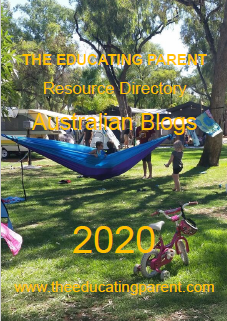 Often the kids have activities or projects of their own to go on with, and sometimes we need their help and input, for example we recently built a chook house and yard and duck pond. Sometimes we go out, to homeschooling get togethers, and so on. We usually fit in some computer time each, reading aloud and writing, and games together. Most often we have intense learning periods where we focus on science, society, media, maths, etc. for a week or two. We do lots of arts and crafts as well. Best thing about it all is being to do what we want to when our interests or needs are high - we stay motivated. 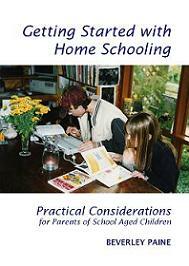 TO WHAT EXTENT ARE DECS INVOLVED IN HOMESCHOOLING? They process applications for approval fro exemption from attending school. This involves an interview in your home, and you need to supply them with a learning program. They also do an annual review including another interview. 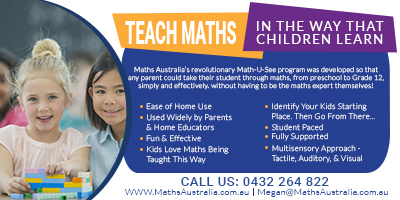 I write my own learning programs for each child to suit their learning styles and interests, so they are very flexible. It isn't that difficult because I know them so well and there are so many resources out there to draw on. I sometimes refer to the National Curriculum guidelines but it isn't required. 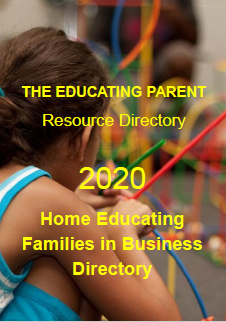 Most families I know write their own educational programs which they submit to the Department for approval. You can use Christian Correspondence courses and there are Steiner courses available from overseas. HOW IS THE PROGRESS OF THE CHILD MONITORED? I keep several records - each child has their own scrapbooks where we paste in work, certificates, etc. We have an excursion scrap book, photographic record, a record of major events and projects for each month. I prepare a rough plan of what I would like the children to achieve each month and afterwards record evaluative comments in it. I also keep any work or exercise books we have used. 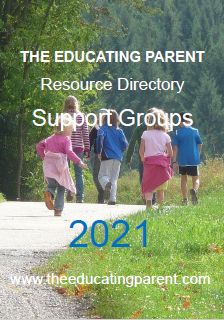 WHAT ARE THE REASONS FOR PARENTS OPTING OUT OF MAINSTREAM EDUCATION? wanting to follow particular philosophies or curriculums, and not necessarily religious. WHAT ARE THE PERCEIVED DISADVANTAGES ...? The main disadvantage would have to be loss of income, or potential income, combined with the carrying the cost of education. There are no government subsidies for home educated children like there are for school educated children. 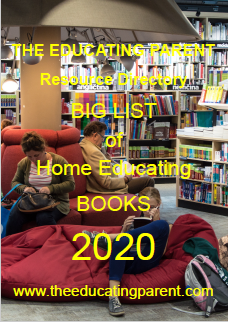 Another problem is lack of information about home education generally, either in bookstores or libraries. Many of the commonly perceived problems such as socialisation, educational neglect and child abuse are unfounded and seldom pose a problem, and are often represented in schooled education anyway. IT IS EASY FOR CHILDREN TO BE INTEGRATED INTO MAINSTREAM EDUCATION? I have met several children who have been homeschooled who have found they have greater confidence and improved academic ability in the school environment. My daughter has just started full time year eleven with no problems. Generally homeschooled kids are better motivated, feel responsible for their own learning, and very mature for their ages. 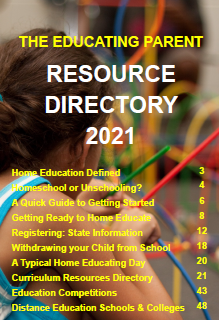 COMPUTERS, INTERNET .... HOW DO YOU SEE THE FUTURE OF HOME SCHOOLING EVOLVING? Slowly at first but gaining ground next century, but not because of technology. There is a terrible inequity with technology and education with many low income families unable to participate. I believe schools will always need to be there for these families. Few of the educational programs I have seen for children are anywhere near the quality learning a good teacher can provide - most are substitutes for busywork. 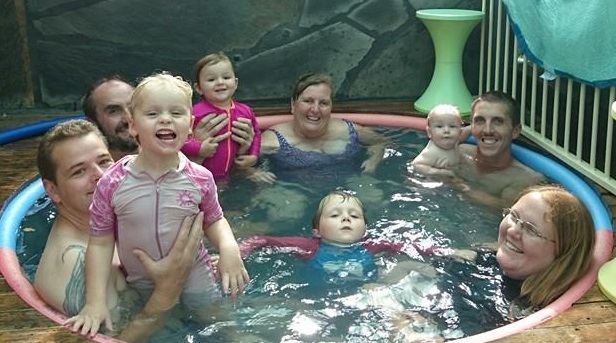 Home schooling will evolve because it has the opportunity to offer children a quality education and the general population will begin to recognise and demand that. This is already happening in the US, with Universities advertising places for home educated students.